Hospitality at Royal Encampment Needs Your Help! Greetings unto the populace of Æthelmearc! 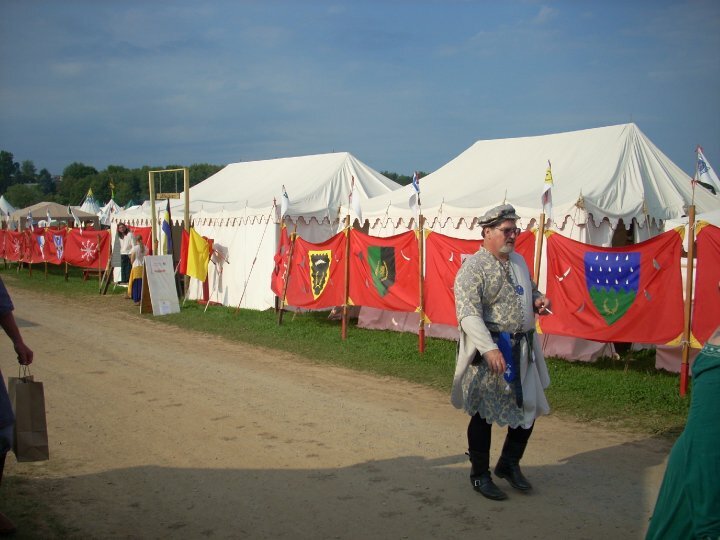 Our names are Dubheasa inghean Dubgaill and Lasairfhiona inghean Aindriasa, and we have been asked by Their Royal Majesties to take charge of coordinating hospitality at the Æthelmearc Royal encampment for Pennsic XLV. For those not in the know, hospitality is in charge of the populace pavilion at the AE Royal Encampment where we provide anyone who would like a place to sit, cool/dry off, hydrate, and socialize. We make sure people get answers to their questions, are directed to wherever they need to go in the Royal Encampment, have messages taken, and we accept gifts to the crown. Due to the popularity, we will be able to recharge small electronics. These are open to anyone who is in the populace pavilion, in a meeting or other business in the encampment, guarding the gate, or working hospitality. You are, of course, responsible for your own devices. We are looking for volunteers to fill shifts throughout the war. We like to have two people manning the desk during open hours. We always make sure to schedule at least one experienced person in a shift, so if you’re new to hospitality, feel free to sign up, and we’ll get you up to speed in no time.The first day of hospitality is on Sunday, July 30 from 2:00 p.m. to 6:00 p.m., during which time we will finish setup. Peace Week shifts are from 10:00 a.m. to 6:00 p.m., Monday, July 31 through Friday, August 4. War Week shifts are from 9:00 a.m. to 7:00 p.m., Saturday, August 5 through Thursday, August 10. We have two shifts in the morning of August 11 to pack up prior to tearing down the royal encampment.Shifts are two hours long. Hospitality will be closed during Kingdom Court, and adjustments will be made for other activities taking place in the royal encampment or as demand requires it. If possible, please sign up in advance! We have a total of 108 slots to fill throughout Pennsic to provide the level of hospitality and service we have become known for. Dubheasa can be reached at this email address. Lasairfhiona can be reached at this email. If you can’t commit yet to a time, the hospitality schedule book will be at the hospitality desk to sign up in once you get to Pennsic. Of course, early choice means the best times are available.